September Flower of the Month!!! An annual plant native to the Americas the Sunflower has been traced back to around 2600B.C.E. found in the state of Tabasco in Mexico. In the United States a fully domesticated sunflower can be traced back to around 2300BC right here in Tennessee! Usually growing between 5-12 feet the tallest in record soared at 25.25ft high! The flower’s name is derived from it’s shape often invoking images of the sun. The circular “flower head” actually consists of numerous small flowers crowded in the center surrounded by petal-bearing florets that can range in color from shades of yellow, red, orange, and russet. It is the small florets in the center often consisting from 1,000 to 2,000 individual flowers that actually bear the fruit; what we commonly see as sunflower seeds. In addition to the “seeds” as a snack item we can also use them for sunflower oil, a peanut butter alternative or mixed with rye flower to make a bread popular in areas of German-speaking Europe. The American Indians used sunflowers in bread as well but also for medical ointments, dyes and body paints. Referred to as the “fourth sister” the Indians would plant the sunflower on the north edge of gardens along with the other “three sisters”; corn, beans, and squash. Leaves of the sunflower can be used as cattle feed, while the stems contain a fiber which may be used in paper production. Sunflowers also produce latex, and may soon be an alternative crop for producing non-allergenic rubber. The former Soviet Union grows the most sunflowers. 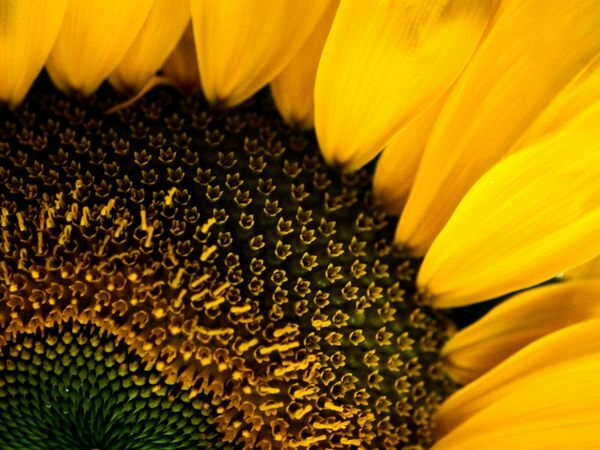 Sunflowers can be used to extract toxic ingredients from soil, such as lead, arsenic and uranium, and to neutralize radionuclides and other toxic ingredients and harmful bacteria from water. They were used to clean up a nearby pond after the Chernobyl disaster, and a similar campaign was started after the nuclear disaster at Fukushima Daiichi. 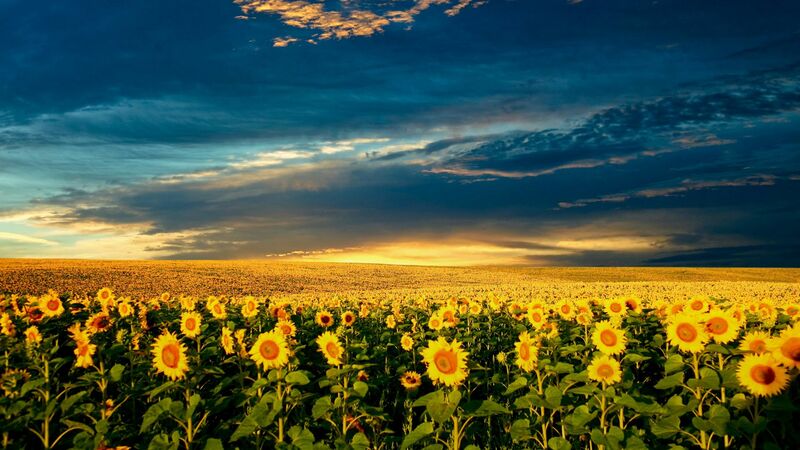 The sunflower is the state flower of Kansas, the national flower of the Ukraine, and the symbol of the Vegan Society. Previous post: Last week to save on Roses!! Next post: Sunflower special…. all month long! !